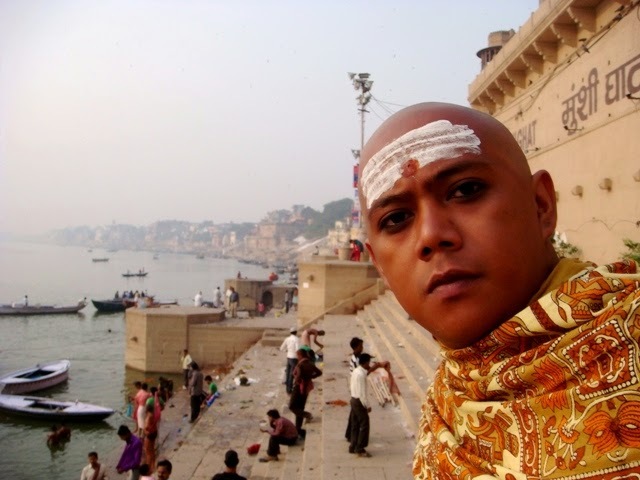 STORY: Three years ago, my head was shaved off in Varanasi, Uttar Pradesh in India. Three weeks later, when i arrived back home in Manila, my family and friends got the shock of their lives when they saw me, with zero hair. Head shaving is an important, if not, holy custom in India and by doing so, you offer a promise to Mannat, for a wish will be fulfilled through prayer and offering. You alleviate all pride and arrogance acquired by living on earth and show your humility and purity through this remarkable deed. To say that shaving your head in India is cliche is unfair. And only those who've been to India can only attest to its great importance. For those whose family member died or have a grave sin to confess, it is the perfect opportunity to pray and be heard. There are thousands of pilgrims from all around the world who travel to India, and to Varanasi, still with their awesome hair intact. However, when it came to a decision time for me. I was ready and prepared. 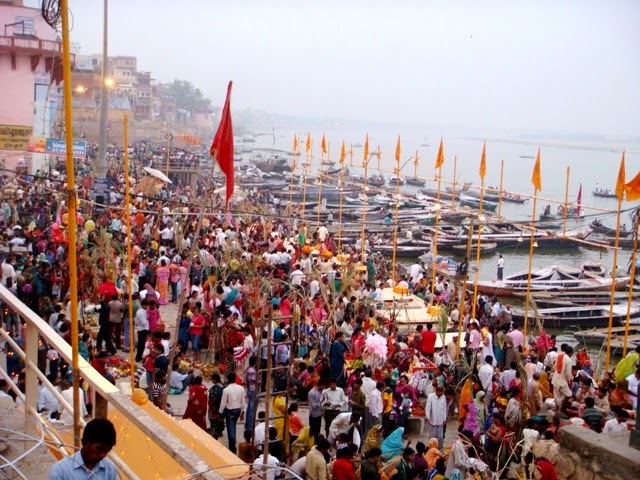 I stayed four nights in Varanasi, my longest in any Indian destination at that time. On my last day, the barber picked up a new blade which i requested and confirmed afterwards and began cleansing it with isopropyl alcohol. It was six thirty in the chilly November morning. I squat in one of the ghats as my mentor prepared my hair's primary execution. I was nervous a bit, but my excitement got the best of me. I was waiting for this for a very long time. It's time. My hair was eleven inches long, grown of dust and smog from this beautiful yet polluted country. I closed my eyes the whole time, not really praying to be honest, but transporting my mind and my body to the river, a few meters away from where i am, being shaved off by a local Indian man whose eyes i can never forget. 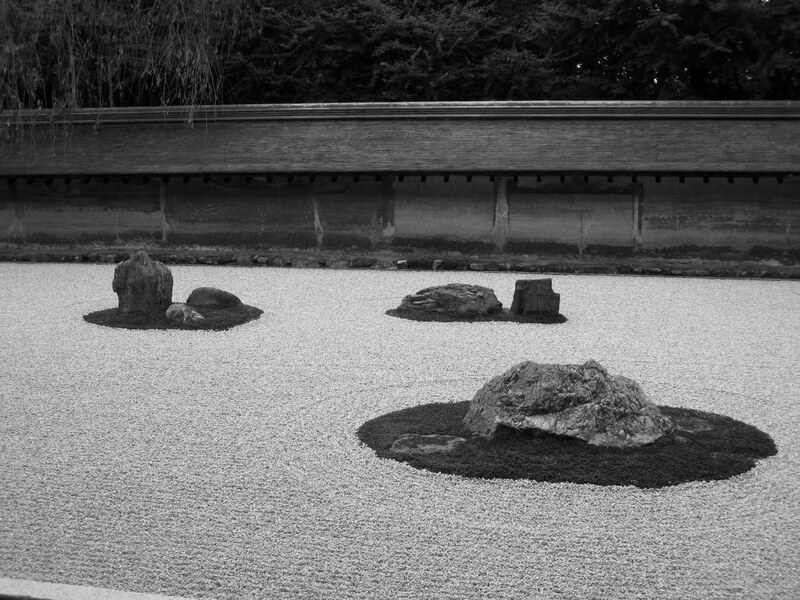 It's that sort of meditation that i am fond of. I stood up, finding the weight out of my knees and paid the man 100 rupees. I opened my eyes and looked at the river. It's calmness was enveloped by the pilgrims bathing. I thanked the man for the life-changing act and walked around for a bit more until my feet got tired. Nobody looked at me anymore. I figured, they know why i did what i did, and it's all that matters. I dust off a few more pieces of my old hair from my body. I was totally free of my past. This place, Varanasi, is very weird. A few days ago, i saw a three month old baby being carried by his mother whose skin bleached to deep brown from the heat of the sun. The baby's nails were long and dirty. 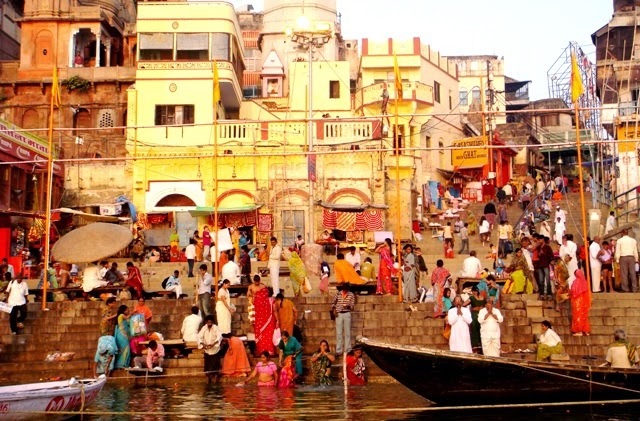 EXCLUSIVE: Later that afternoon, as i walked to the holy Ganges, i stumbled upon a man dying. He was a troubled soul, and may have walked for days to get to where i am standing. I saw him die in front of me. On his last breath, i was looking at him. I closed my eyes and prayed for his soul to go to heaven, or Varanasi, or a good after life in the Ganges river. It's not every day that you see a man die in front of you. But i knew, he was ready to give up life. The decision to shave my head started out when i arrived in Varanasi from a sixteen hour train ride from New Delhi. 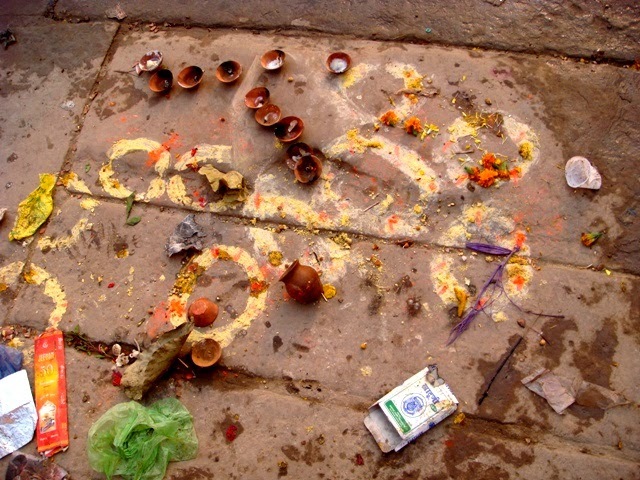 People were already preparing for the Festival of the Lights or Dev Deepawali. I could feel the energy from the people seeping through my veins as i walked, and obviously out of place. On one occasion, i met a store owner who asked me to sit next to him. Believing he would sell stuff, he surprised me by offering a cup of tea for free. 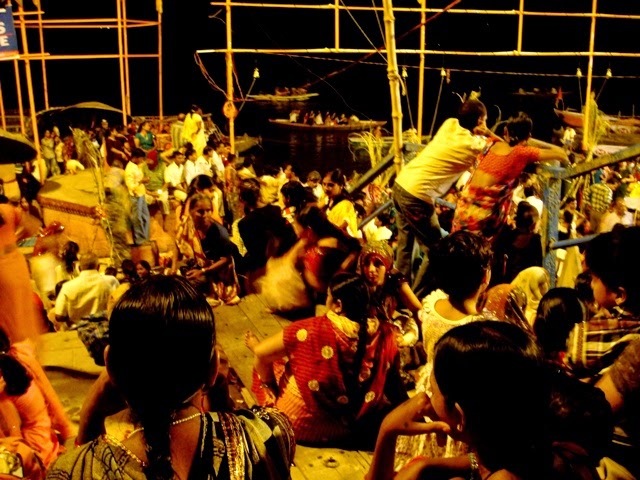 We people watched as he explained what the festival is about, and how Varanasi is unlike anywhere in the world. He said to me straight in the eye, "You're a troubled soul." I left an hour later, still thinking if he asked me to join him to sell carpet or because he saw my pain and seeking enlightenment from the gods. The excitement continued on and lasted until the next day. I walked again and stumbled upon a Bubba who asked me to share his stick of blunt. He said that during these few occasions, only then can he smoke Marijuana. I politely declined and shared Kingfisher beer with him instead. He told me, "Live your life not tomorrow, now". Before i slept that night, i was trying to recall what has happened in the past few days, and what i want to do in the days to come. These turn of events got me to think how and why these instances happen, and if these do happen for a reason. Then, only destiny can predict what i will do next. I came up to this man whose palms were carefully carving a young boy's shapely head. I said, "I'm next". And his face lit up in surprise. The other men beside him gave him ample space to work on me. I will never forget this experience. In ten, twenty or even thirty years from hereon, i will keep on remembering this precious moment. I know I've been troubled but i also know, i am still living my life amidst, and that is true enlightenment. TIPS: Don't forget to ask the barber for a new blade and make sure to check if it's really new. Because it has become a tradition for some tourists, like anywhere else in the world, prices may be jacked up. Negotiate first and agree on the price before you get your head shaved off. RECOMMENDATION: Only do it if you are really ready.